MainAll NewsInside IsraelThe outline that will save the coalition? The outline that will save the coalition? Attorney General's office reportedly formulates compromise on Draft Law to prevent early elections. Is this the legal outline that will save the coalition? According to the outline formulated by the Attorney General's office yesterday, the existing recruitment quotas will remain in effect, but if the goals are not met, the law will be automatically canceled. According to the Hadashot 2 report, the attorney general and former Shas representative Ariel Atias are behind the plan, which is expected to receive the approval of Defense Minister Avigdor Liberman and Finance Minister Moshe Kahlon. 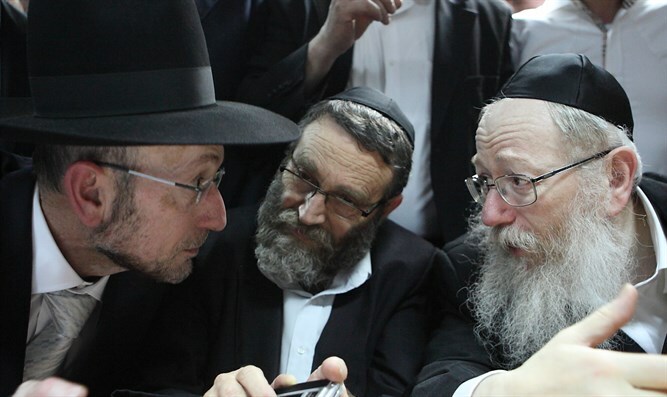 If the formula is approved by the heads of the coalition, it then must be approved by the Council of Torah Sages and the leaders of the Lithuanian haredi community. If approved, an effort will be made to pass the bill in a preliminary reading in the Knesset, thereby preventing the dissolution of the government, and the haredi parties will vote for the budget before the end of the winter session. Earlier, Interior Minister Aryeh Deri (Shas) and Education Minister Naftali Bennett (Jewish Home) made it clear that there was no reason to go to early elections, since all the coalition partners were not interested in dismantling the government and going to elections. "The public will not forgive those who will now lead the country to unnecessary elections," said Minister Deri. Finance Minister Kahlon has threatened to resign if the budget is not passed by Passover while the haredi parties say they will not vote for the budget unless there is a new draft law.